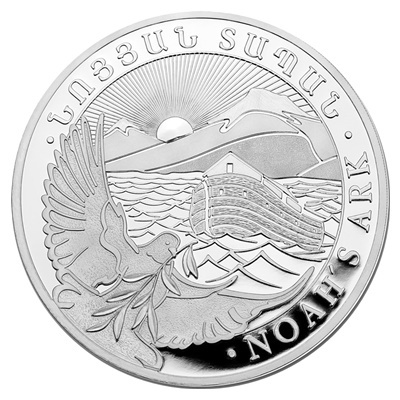 The Noah's Ark coin features supreme minting quality and purity produced by one of the most modern private mints of Germany. Each coin is legal tender at its face value and is issued by the Central Bank of Armenia. 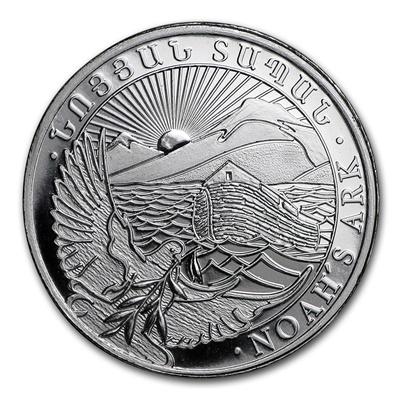 Reverse: Designed by Eduard Kurghinyan and displays a dove in flight with an olive branch and Noah’s Ark floating on the flood waters in front of Mt. Ararat and the rising sun. 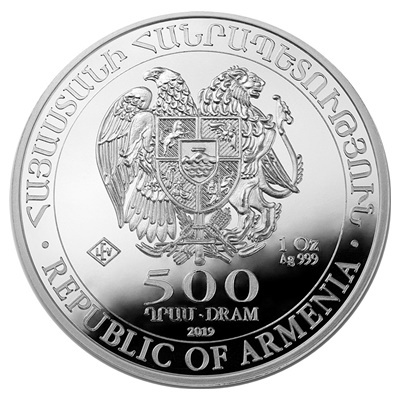 Obverse: Displays the coat of arms of the Republic of Armenia along with the value of “500 DRAM” and the issuing year beneath it. Contains 1oz of .999 fine Silver. There currently are 897 guests online.